Categorized as: Stories on August 4, 2012. Sometimes, a little overhead reaps far greater efficiencies. We hired a back-office team to manage administrative, accounting, and archiving for us, so that we can focus on program advising and storytelling for our partners. Reported by Manuela Badaway for Reuters. (Reuters) – The rapid growth of small, private foundations, such as family charities, has led to increased outsourcing of the crucial but often-overlooked “back-office” business, benefiting financial services and other companies. In the past decade, the number of new foundations has doubled to nearly 80,000, with thousands of new ones forming each year. About 70 percent have assets of less than $1 million, according to the Foundation Center, a leading source on philanthropy in the United States. In decades past, when foundations were typically large, administrative costs ran into millions of dollars, principally to pay for infrastructure, staffing and other fees. But back-office outsourcing firms have saved a lot of the headache and heartache for smaller foundations. To be exact, non-profit organizations that outsource their back-office work tend to save between 25 percent to 40 percent of their budgets, according to Jeff Russell, founder of Easy Office, a Boise, Idaho, outsourcing firm. “Smaller non-profits are so overwhelmed with the need to raise money, support their programs, increase awareness of their cause and handle their back-office stuff. So for them their main goal is for the administration headache to be taken away from them,” Russell said. Many of these foundations are launched by wealthy individuals who want to use the business acumen that created their wealth and get hands-on involvement in the causes they care about. For the entrepreneurs behind the move towards so-called family philanthropy, the last thing many of them anticipated was how much of their time would be taken up by paperwork. One of the biggest providers of back-office support is Fairfield, Connecticut-based Foundation Source, which says it has more than 1,000 private charitable foundations whose assets range up to about $50 million. One of the clients is Suzanne Skees, founder of The Skees Family Foundation, with $2.3 million in assets. Skees said administrative work used to take up large amounts of her time, which could have been better spent advising nonprofits and Skees Foundation’s specialty: creating communications products (website, fundraising, and presentation materials and human-interest features) for partners. “As foundation director, now that I have more freedom in time, I can be consulting and advising NGOs (non-government organizations) and startups,” says Skees, who runs the foundation from her home in San Francisco. The organization focuses worldwide on education, micro-enterprise, infrastructure, health and promoting peace. “Non-profits are looking for accuracy, timeliness and know-how,” said Stephen Orr, managing partner at Orr Associates Inc, a consulting firm to the non-profit industry. Among the outsourcing firms catering to foundations are Foundation Source, Sterling Foundation Management, Arabella Advisors and Rockefeller Philanthropy Advisors. Other providers of back-office administrative work for small family foundation are large financial services companies, such as Fidelity or Vanguard and regional accounting firms. Skees said she pays $12,000 a year to the outsourcing firm to issue grant checks, file tax returns and comply with California state filing requirements. 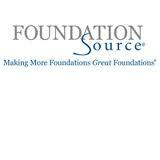 Foundation Source also manages a secondary, private Foundation Source Skees Foundation web page and makes sure the foundation meets the 5 percent minimum distribution required by the Internal Revenue Service every year. Software companies have also become part of the foundation outsourcing market, with firms such as MicroEdge-Gifts providing tools for the receipt and review of grant applications. For Suzanne Skees and the 30 members of her foundation family scattered throughout the United States, having access to a web-based application where they can look at grants, agreements, thank-you letters from grantees and track annual reports and board minutes with a click of a mouse, is essential.